The crafting community is one of the most awesome I’ve known. Not only is it bursting at the seams with super-talented ladies (and even a few guys!) but it’s also filled with kind souls, kind hearts, and lots of friendship and love. I’ve been a part of this community for several years now, and count myself very lucky to know and have rubbed shoulders with some of the giants. Companies and friends; this place really does feel like an extended family a lot of the time. It’s in celebration of that extended family that I’m here today. 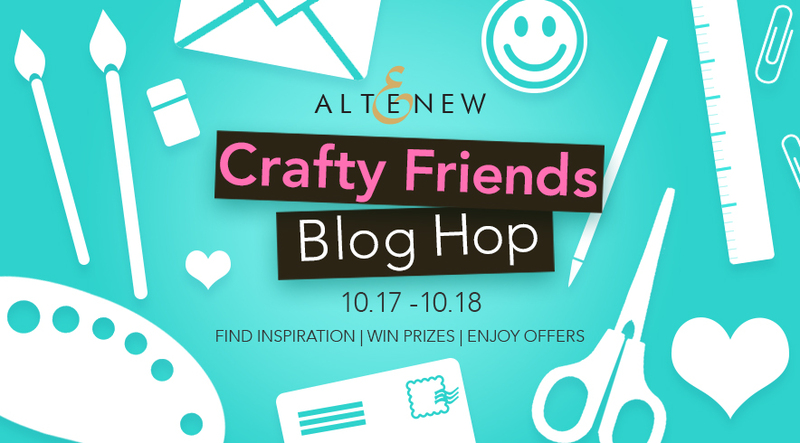 One of my favourite companies, Altenew, have pulled together a massive 2-day hop in honour of the crafting community and the awesome designers in it! 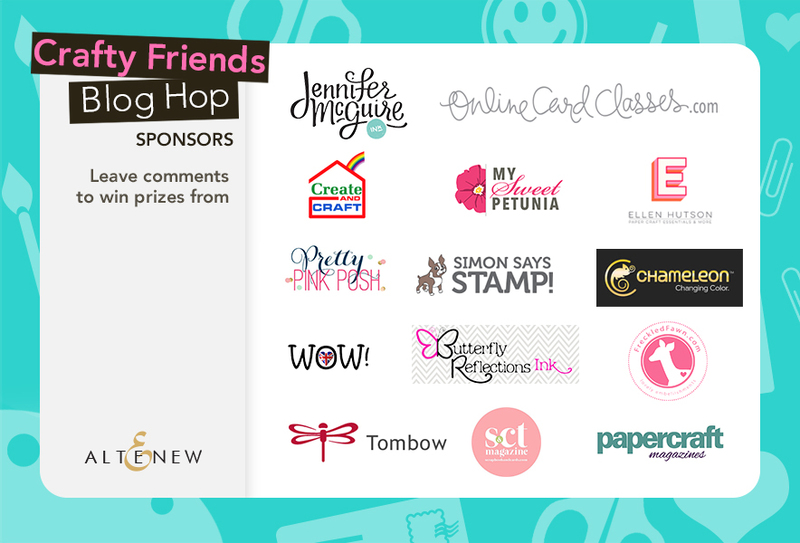 Hold onto your hats because this hop is filled with inspiration, giveaways from a whole host of sponsors, offers, and even a prize for me too! 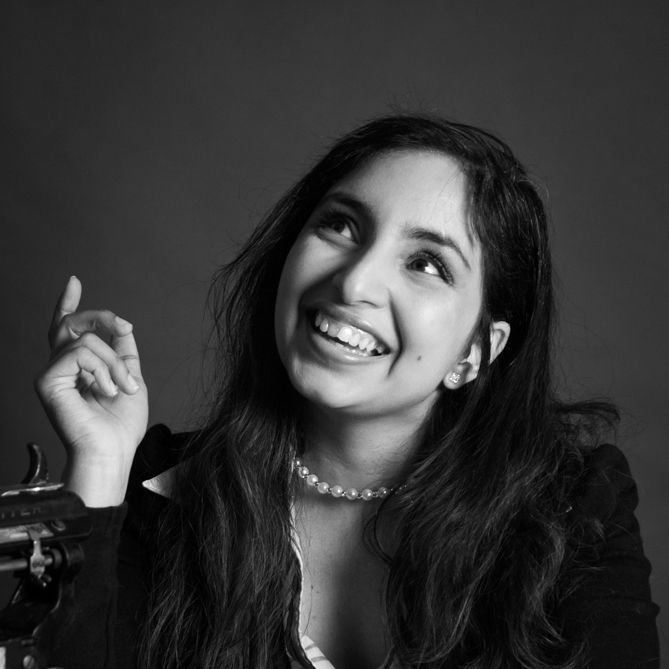 Altenew is headed up by my two awesome friends, Jen and Tasnim. To see their talents go from using supplies, to forging their own, has been a joy to watch. I don’t have to tell you that Altenew are one of the hottest companies out there. Everyone loves them, and their products – which is evident by the long list of people that will be your Hop stops for the day! 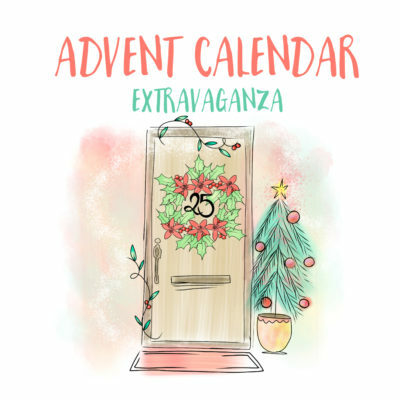 The fun all starts on the Altenew blog, so make your way over there if you haven’t been already! Aren’t those flowers *gorgeous*?! They’re from the amazing Winter Rose set, which I just had to have! If you’ve been to my blog before, you know I have said a thousand times that I’ve OD’d on flowers. It’s true, I have. But I think after a long break from them, I’m finally starting to fall in love with flowers again – but there’s a catch! There are literally *hundreds* of floral sets out there, which is what first led to my having my fill of them. But, I think I’ve found a soft spot in my heart for the floral sets that truly stand out as having something ‘different’ to offer. Only a few companies meet that requirement – and Altenew is one of them! So anyway, back to the card. 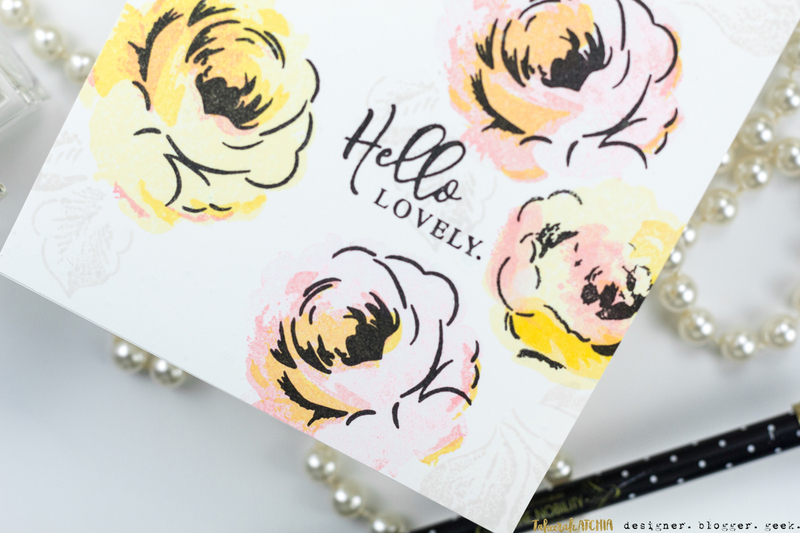 I stamped the flowers with a mix of yellow and pink inks. I love the wonderful contrast and slightly abstract feel of these beautiful, vintage-style flowers. I really think they steal the show! So that those flowers take centre stage, I decided to stamp the leaves in a pale grey. They add just enough interest to the background and help ground the flowers. 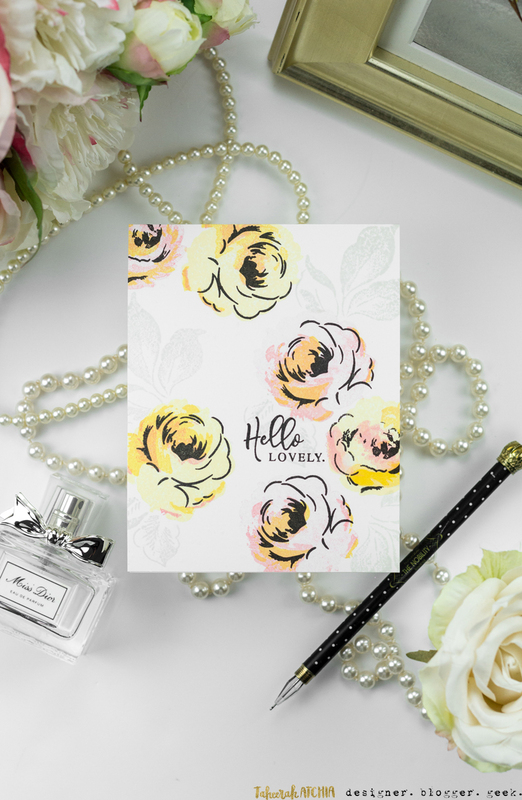 The sentiment is built from the ‘Hello’ from the Winter Rose set and the ‘friend’ from the Sketchy Floral set. Love! I couldn’t resist another couple of shots – I really love how this turned out! There’s even a subtle splattering of mist on the card which the camera unfortunately didn’t pick up! 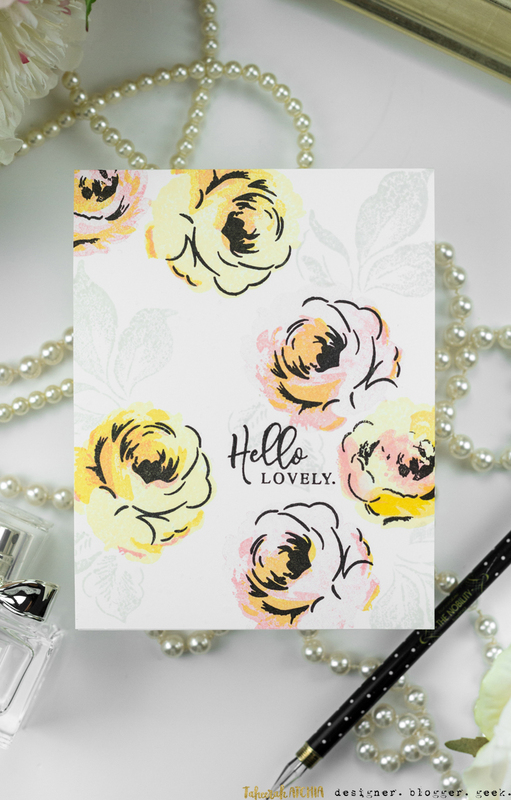 If you couldn’t tell already, this card’s style was inspired by my amazingly talented friend, Aga – but with a little of my own spin on it, of course! Hooray for Altenew! Hooray for this awesome hop! Hooray for crafting!! I promised a bunch of giveaways, and man this will not disappoint! But, there’s more! I’m also giving away a $20 gift certificate to the Altenew store! So make sure you leave a comment here as well! Awesome, right?! So what are you waiting for – get hopping! AND, if you want to go shopping right now, Altenew even has the following awesome shipping offer for you! I hope you’ve loved what you’ve seen here today! Thanks again Altenew for inviting me to be a part of such an amazing hop, and thank you all for stopping by! Awesome card, love the soft colors with the black. I love the soft colors! Thanks for the inspiration! that’s a gorgeous card! Love it! Would love to have this stamp set. I’ve eyed it for some time. 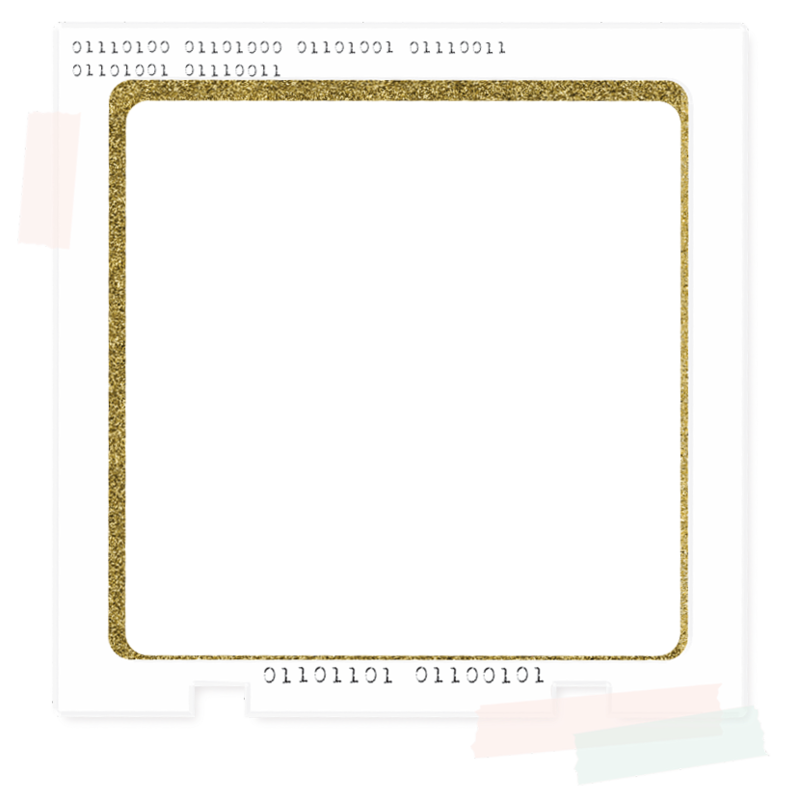 Your card is simply stunning. I love the colors of the flowers in contrast with the soft grey leaves. Stunning! 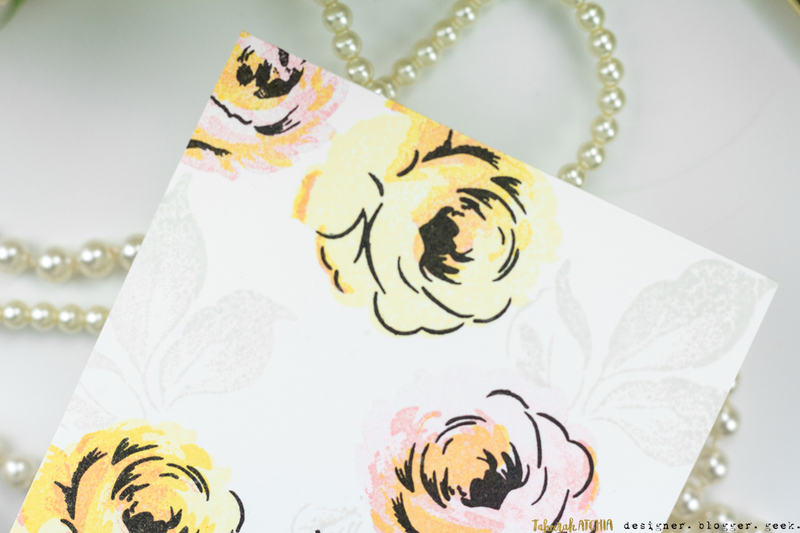 I’m so in love with your soft florals on this card. I too have od’d on florals and let them rest for awhile….this hop is moving me back into the “flower garden”. Add that outline in black is so nice. It just gives it that bit of something but with the light colors all around it is still very feminine and visually appealing. Nice! Lovely card. The colours are so soft and pretty. Your card is breathtakingly gorgeous! I love how simple it is yet absolutely gorgeous! 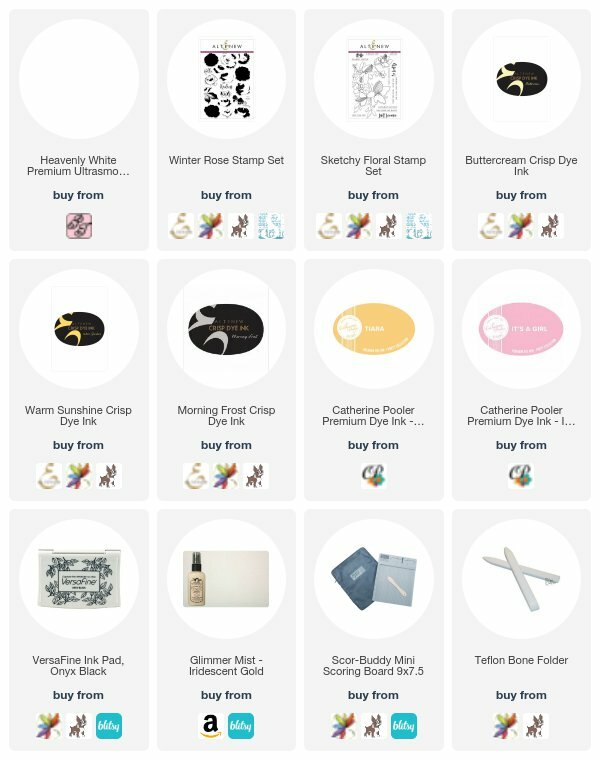 Since discovering Altenew I have not used any other companies floral stamps because Altenew has the best. Ones available! They are so realistic that I almost expect to be able to smell them! I have spent many happy hours playing with their products and have passed my love of them onto my 5 year old granddaughter who lives with us. I handed her a flower set from another company one day and she set it down and asked me for the REAL ones! I had to chuckle over that comment and she told me it wasn’t funny not to share my good stamps with her. lOl ?TFS! So soft and pretty! Thank you for sharing your talent. Your artist eye takes this peice to anither whole level of Fabulousness! Love the stamp set you selected. Those roses are gorgeous and the colors you used are lovely and really show them off beautifully. Altenew has such wonderful products. Thanks for sharing. 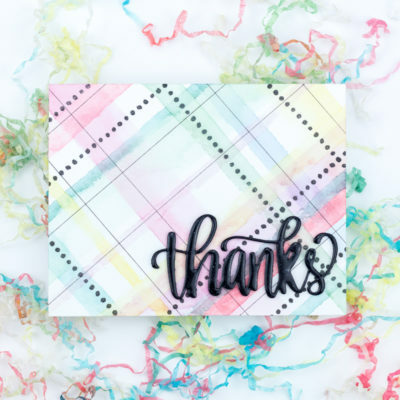 Such pretty stamp layering – love the technique. Sooooo Pretty!! Love the colors!! Gorgeous card and design, love it! Thanks so much for inspiring with your wonderful creations! 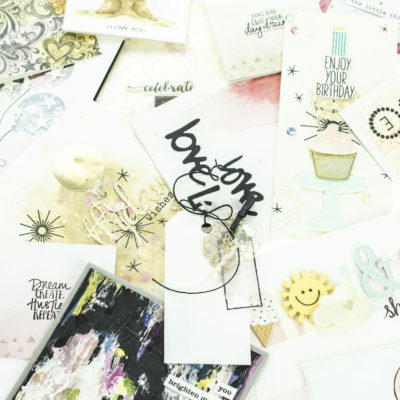 Loving this blog hop! Very elegant card! Love the use of the black to really make the roses pop. I must try this. I also like the delicate look of the leaves. Just enough color to add background. 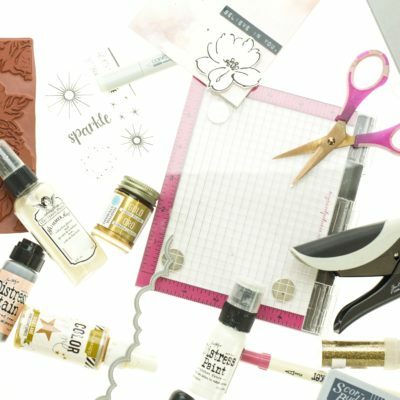 This blog hop is amazing and so fun! Love the cards you made. 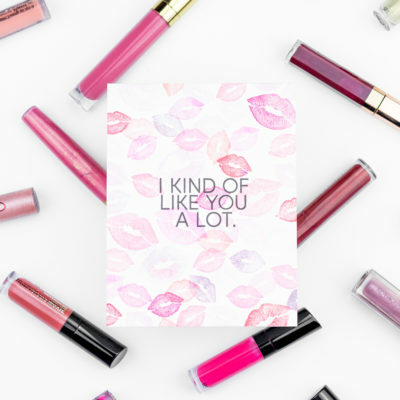 Your design shows that the right stamp and a few favorite colors can make a really nice ‘smile in the mail’ card. Beautiful card and a gorgeous stamp set. Such a sophisticated card. I love the black mixed with pastels. One of my favorite cards yet. Beautiful card, with a really lovely vintage-y feel! I like how the leaves blend into the background making the flowers center stage. The colors are so pretty. This idea would make a lovely wedding card. Thanks for sharing! 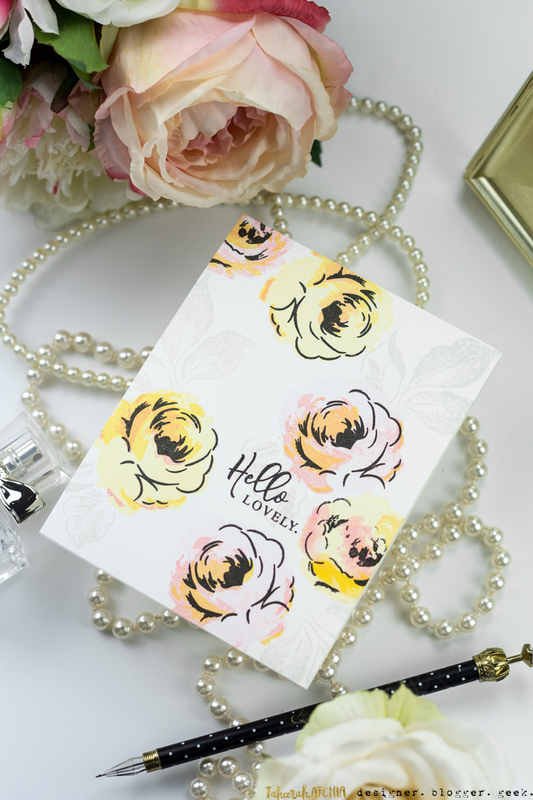 Your winter rose is simply gorgeous in soft pinks and yellows with a touch of gray! Beautiful as always. I love those winter roses and the pearls! ha ha. 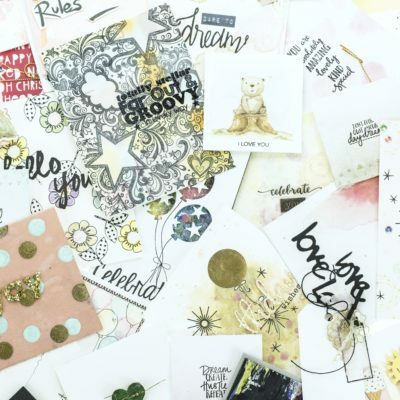 That stamp set is on my wishlist! I love it!!!! 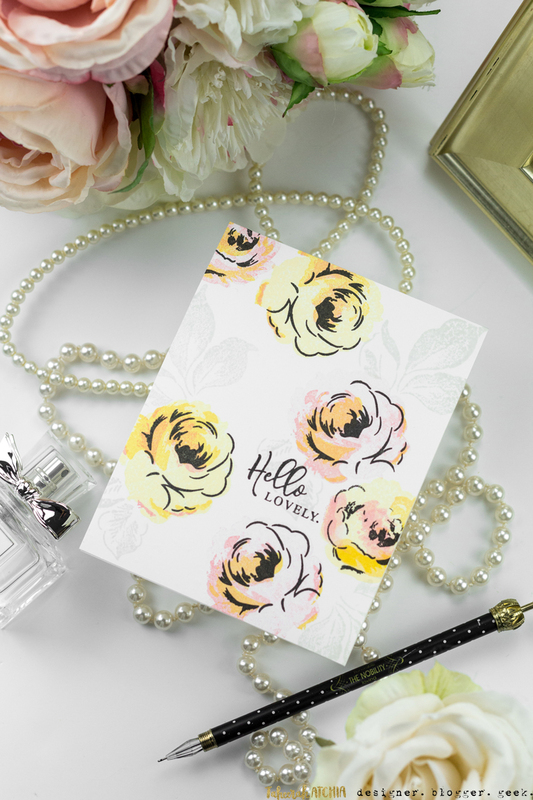 I love the soft, feminine style of your card. It would be perfect for any occasion. So elegant and beautifully designed card!!! The soft colors are beautiful. I would never think to use grey for leaves, great idea! I love this design…. the black lines over the soft colors is so beautiful! I thought this card was loosely watercolored. It’s beautiful. I like your color choices. Love the soft colours and the shadow leaves. A beauty! Soft and elegant effect. Wonderful! I love that card! beautiful! Hi Taheerah! Love what you did with the Winter Rose. The design is amazing, makes me want to CASE it 🙂 Maybe I will, for the upcoming CHA 😉 or maybe you can bring it over if you are coming 😉 😉 As I was writing my post yesterday I was thinking back to the days when I used to blog and how you always visited and left such thoughtful comments! Thank you for your support throughout the years! Big Hugs!